Brad's ole friend Andy is back is in town and stops by for a beer . It does'nt take long for them to start talking about their high school wrestling and how much they miss those "glory days." 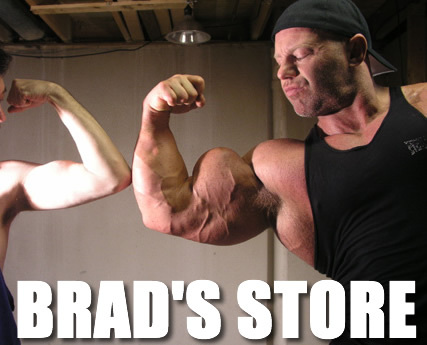 Andy was the 1997 Washington State Heavyweight Champion and Brad was the 1985 Idaho State Heavyweight Champion. One remark leads to another and the next thing you know Andy challenges Brad to a match! Their state titles are on the line when Andy, strong and bulked at 320 pounds, collides with the 305 pounds of hulking mass and destructive power of Brad Hollibaugh!! !